As a busy mum of three working from home, life can sometimes feel like a never ending cycle of school runs, emails and packed lunches. It can be difficult to fit in exercise, although I know how important it is for both your body and mind. Sometimes I have to physically force myself to workout but I always feel so much better afterwards. When Matalan got in touch asking if I would like to be involved in their Souluxe Activewear campaign I knew it would be the push I needed to prioritise my fitness going into the new year. The new range of sportswear features practical and stylish pieces for women, including sports leggings in a variety of designs. When it came to choosing which pair I would like, I decided to go for something monochrome, so that it would go with anything, although I also loved some of the more vibrant designs. The Space Dye Sports Leggings are high waisted and full length, giving me confidence when wearing them out and about. I am in between sizes at the moment and wasn’t sure whether to go for a 10 or a 12 but the leggings are nice and stretchy and feel really comfortable to move around in. I’ve found that by putting on my sportswear first thing, I am more likely to prioritise fitting in a workout during the day. 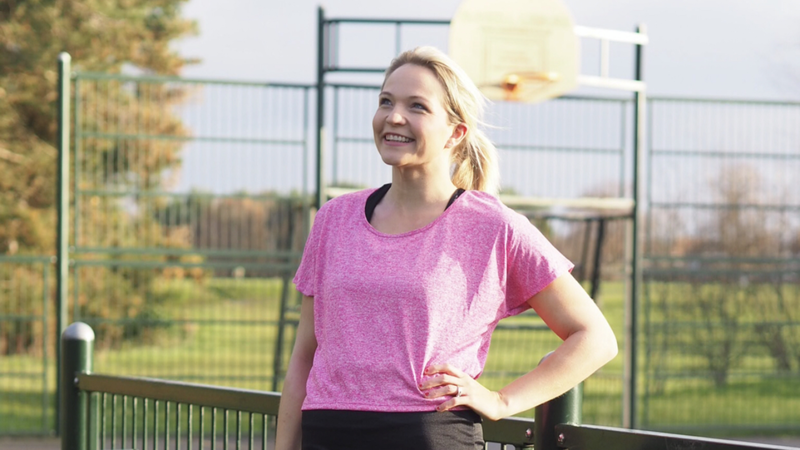 Matalan’s Souluxe Activewear is perfect as it can be worn whilst out and about without looking odd. I’ve been doing the school run and heading to the park with Benjamin before returning home for my workout feeling motivated and ready to go! As well as the leggings, I was also sent one of the Souluxe 2 in 1 Active Tops, a racer back vest and t-shirt combined, which is made with breathable, quick drying material making it brilliant for working out in. The top is really lightweight and, worn with a sports bra, I felt supported whilst being able to move around, just as important when running around after a toddler as it is for a workout. The Souluxe Knitted Gym Trainers are lightweight, with a cushioned sole making them really comfortable to walk around in. The black print goes really well with my leggings. As the weather is getting chillier, I like to layer up so that I can remove clothing as I warm up during a workout. The Souluxe Cowl Neck Sports Fleece is lovely and warm, whilst still being soft and lightweight and it looks great worn over the rest of my activewear. It’s so easy to wear and I’ve actually pulled it on over a vest top and jeans when heading out to the shops, making it a truly versatile piece. The new Souluxe Activewear range is available in stores and online now. This is a collaborative post with Matalan. Items featured in the post have been gifted to me, however all words and images are my own.